Slough’s long Emirates FA Cup run came to an end at the Second Round stage for the eighth time in the club’s history, with Darren Oldaker’s superb long-range goal all that separated the sides in a match the Rebels had by far the better of. Neil Baker and Jon Underwood’s side will feel bitterly disappointed not to have at least forced a replay against the Gills, who currently occupy 18th place in League One - but whilst the Rebels were dominant in many of the game’s statistics, the only one that mattered in the end was the goal tally, and Oldaker’s moment of magic early in the second half ultimately decided the tie and putting his side in the hat for the lucrative Third Round draw on Monday evening. Having learnt from last year’s 4-0 defeat to Rochdale at the same stage, Slough’s joint managers sent their team out to really take the game to Gillingham, and for large parts of the game dominated proceedings. The first chance of the match came in the opening minutes as the visitors’ Elliot List forced a simple save from Jack Turner. Slough responded quickly with James Dobson blasting in the Rebels’ first effort, which was well blocked by Gills skipper Gabriel Zakuani. The game flowed from end to end in the early stages, and Turner pushed a long-range blast from Dean Parrett around the post after the midfielder had surged past Lee Togwell. Twelve minutes in, Slough appealed in vain for a penalty, but the claims were waved away by referee Chris Sarginson. Dobson swung in a cross which Gills goalkeeper Tomas Holy dropped, and in the scramble that ensued the ball his the arm of Connor Ogilvie before being cleared. Moments later Slough had their first chance as the ball fell to Matty Stevens inside the box from a long throw. With his back to goal, the on-loan striker flicked the ball up before attempting an overhead kick, but the ball dropped narrowly over the bar. With the game showing no signs of slowing down, Dobson whipped in a dangerous free kick which Lee Togwell got up to meet, but he couldn’t aim it into one of the corners and Holy got down to save it. A succession of corners followed for Slough but the big defensive team of Gillingham did well to clear the ball time and time again. Backed by an army of vocal supporters singing “Bakes and Unders Rebel Army” for large spells, Slough were really starting to pile on the pressure. 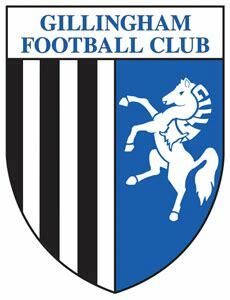 Stevens spun and fired another effort wide, whilst Max Ehmer became the first Gills player to be yellow-carded after hauling the striker down on 24 minutes. Dobson played the resulting free kick to George Wells, whose cross-shot went wide with Chris Flood narrowly unable to get a touch. Five minutes later Stevens was again involved, taking a pass from Dobson before dragging his shot wide of the post. Slough continued to press and they got two more shots in at Holy’s goal before the break, with Harris and Dobson both firing wide from 20 yards. The first 45 minutes had been so positive for the Rebels, but just three minutes into the second period Gillingham hit them with a sucker-punch. Far from letting this deflate them, Slough were quickly on the front foot again. Harris couldn’t quite get hold of a strike from the edge of the box, giving Holy an easy save, and the winger blazed another volley over shortly after. Flood was inches away from playing Stevens in with a through pass, and as Gillingham broke away quickly, Turner was quickly out of his goal to make a crucial intervention at the other end. Dobson and Josh Jackman both saw efforts fly off-target, whilst List was also denied by a block. Slough’s first change saw Manny Williams replace a limping Flood, and he was quickly involved in creating a huge chance for the Rebels. He played in Harris, whose cross into the middle was hit on the volley by Lee Togwell, but he couldn’t get the kind of contact he would have liked and Holy saved again. Minutes later Williams himself could have levelled the scores, but he headed Wells’ early cross wide of the post. Slough were well on top but couldn’t find a way through, and with ten minutes remaining Simon Dunn replaced skipper Mark Nisbet as the Rebels pushed men forward, leaving just three at the back. Gillingham were forced to sit back and soak up the pressure, and did this to good effect, counter-attacking when they were able to, with Turner again called upon to block as Mark Byrne was played in. Deep into six added minutes, there was one final glimmer of hope for Slough as Holy dropped the ball but he was grateful to see Zakuani on hand to clear, and the League One side held on to progress.